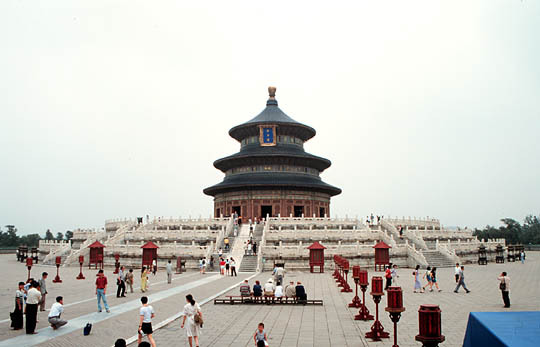 Tiantan, the Temple of Heaven, was established in 1420 during the reign of Ming Emperor Yongle ( 1403-1424). It is the most holy of Beijing's Imperial temples. For this is where the Emperor came every winter solstice to worship heaven and to solemnly pray for a good harvest. It built separate complexes for the earth, sun, and moon.